If you want happy fish you’re going to need to do regular aquarium maintenance. Part of this is exchanging a portion of the tank’s water on a regular basis. [Bill Porter] came up with a water exchanger that means less manual labor, but makes the process just a bit more complicated. So, what he would do before is fill a few buckets from the aquarium and dump them down the toilet. Then mix up a few buckets of salt water and add them back to the aquarium. This meant carrying several trips worth of heavy, dripping buckets through the house. What he has now is a gravity fed system into the orange bucket with a bilge pump to evacuate the old water from that bucket into the kitchen sink. 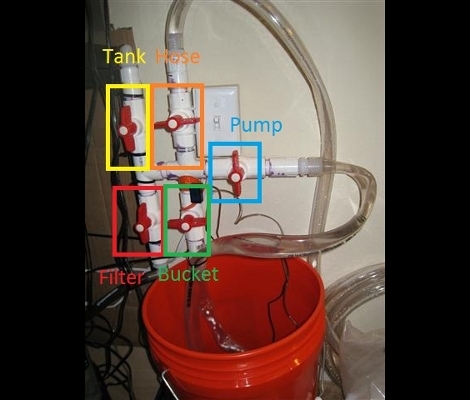 The bilge can then be used to circulate water through the aquarium and the bucket, while filling with a hose from the kitchen sink and mixing in salt and chemicals. Less trips, no drips, but you’ve got to know what you’re doing with all of those valves. We love seeing aquarium hacks like [Bill’s], or cooling the tank lights while heating the water, or just a fancy lighting setup in general. So if you’ve got some of your own, don’t forget to send in a tip about them. [Maurizio] was having some reception issues with his wireless internet and set out to add an external antenna to the USB dongle (translated). 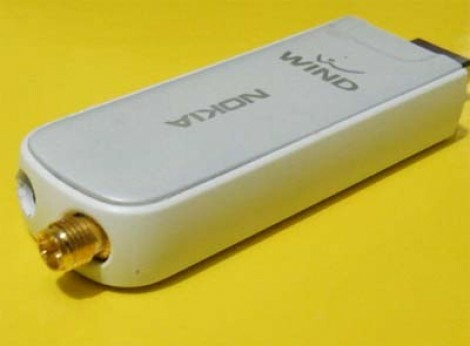 He had previously poked around inside of the Nokia internet key to find that the internal antenna was a flexible circuit substrate wrapped around a plastic box that made contact with main circuit board via a spring connector. This plastic frame is just right for mounting an SMA connector in just the right place for it to stick out the end of the case as seen in the picture above. It gives him better range, but since speed depends on how much traffic the wireless node is under, it’s not a guarantee that you’ll get a snappier connection after this hack. 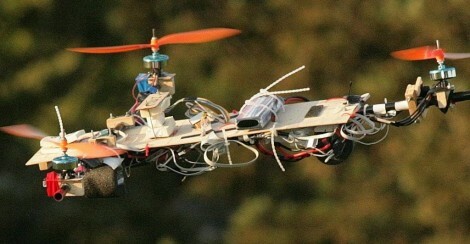 Quadcopters stand aside, here’s a three-rotor helicopter we think you’re going to love. The body is made out of plywood and carbon fiber rods, keeping it light enough to be easily lifted by just 3 motors while making sure the force doesn’t tear the aircraft apart. Three gyroscopes, two accelerometers, three magnetometers, and a GPS module are all used in conjunction for an autopilot system. There’s a lot of great pictures and videos but our favorite, embedded after the break, shows the tricopter writing messages in the sky using light and camera exposure tricks similar to this ground-based trike. It is easy to rely on the ratings marked on different tools, whether it is a power supply, scale, or speedometer. However calibration is essential for any part that is relied upon either professionally or for a hobby. [Jeremy] wanted to see if his Lomography camera shutter really was only open for 1/100ths of a second when set to that. 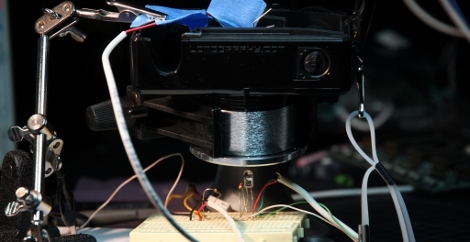 In order to test his rig, he set up an LED on one side of the shutter, and a high speed phototransistor to gauge the time spent open, using an oscilloscope to measure the time the reference point was pulled low. In his case, when the camera was set to 1/100, the shutter was actually open for closer to 1/150th of a second (the mean was 1/148ths of a second, with a standard deviation of 417 uSecs). This difference can make a large difference in picture brightness. 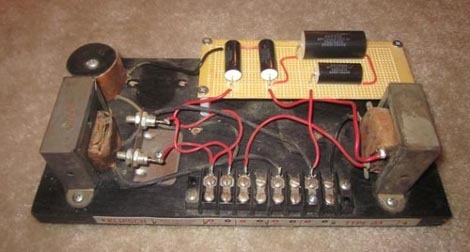 Be sure to check his blog for more pictures of the setup, as well as some useful part references and circuit diagrams. 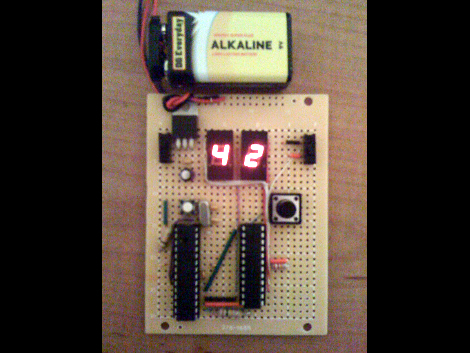 [Bluewraith] built himself an electronic dice using a 555 timer and 4017 counter. This is a classic project and he enjoyed doing it but wondered about making a 20-sided dice. So he grabbed his Arduino and got to work. A switch on the final project selects between 20 or 100 sides. He used a MAX7219 to control the 7-segment displays, and a standalone AVR chip for the rest of it. If you missed it back in October you should also look in on this 6-sided dice. It also uses an AVR running the Arduino bootloader but a mercury switch allows the player to shake the box in order to start a roll. One last note, we made a conscious decision to use the word ‘Dice’ instead of the grammatically correct ‘Die’ which is its singular version. We think ‘Die’ can be a bit too confusing and we’re not the only ones.